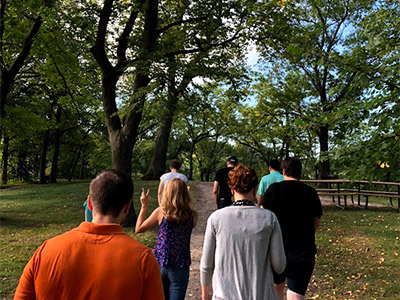 Begun in 2014, the Church Planting Initiative formed in response to a movement growing among graduates of Pittsburgh Theological Seminary: they were planting new faith communities. 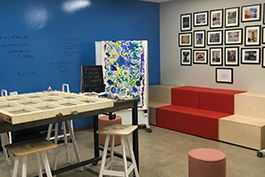 Even in the midst of a heavily churched city, next door to schisms that reverberated nationally, in the midst of American church attendance declining, innovative new communities of Christian practitioners were popping up in and around Pittsburgh. Inspired by our graduates, PTS visioned how we might follow the movement of the Holy Spirit and prepare our students to hear and trust the calling of God, even beyond the walls of established churches. The Church Planting Initiative was founded with a strong focus on listening—the practice first of listening for God, in ways both solitary and communal, and discerning where God might be pointing and ordering our work. 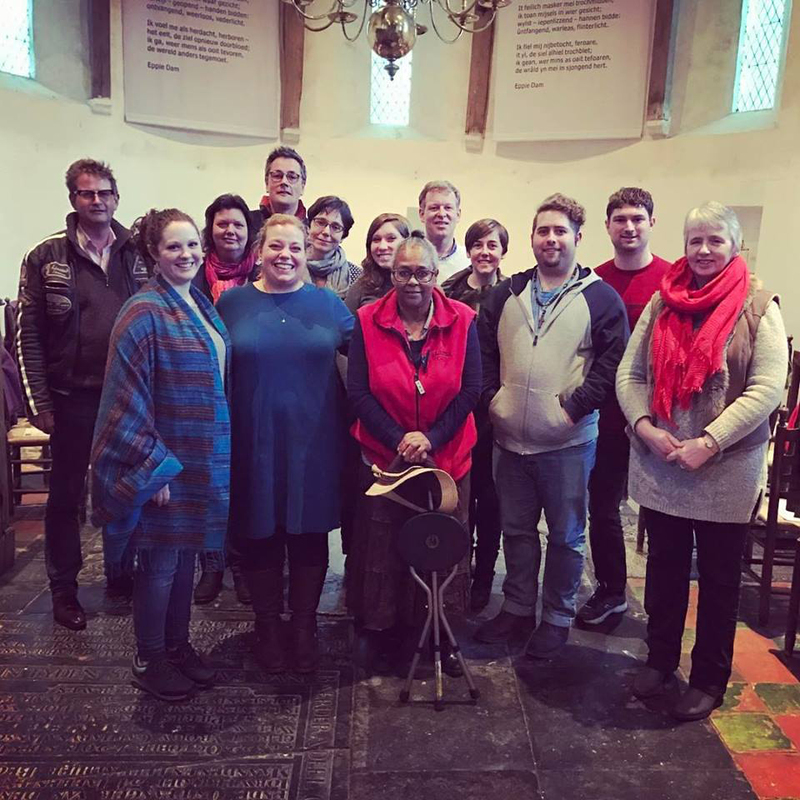 With that rhythm set in motion, students and practitioners journey together to listen well to each other, and finally to listen well to the community to which they are called. As those habits grow, we employ tools to study and engage neighborhoods, while workshopping pain points together. Our practice of moving from listening to local engagement has proven to be a powerful avenue for unearthing and claiming pastoral identity, so this basic arc forms all our learning, whether it be through our Master of Divinity Church Planting Emphasis, our hybrid learning Graduate Certificate in Church Planting and Revitalization, our practitioner cohorts, or our onsite learning events. CPI is convinced that starting with listening prepares us to speak, and the better we have heard the Word of God to us, the better we are able to proclaim it clearly through the work of planting, forming, and sharing new faith communities with the world around us. The M.Div. 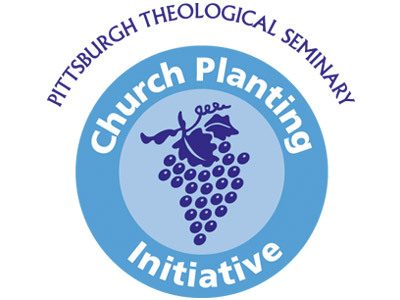 with the Church Planting Emphasis at Pittsburgh Theological Seminary offers a track in the Master of Divinity that provides solid theological education combined with practical preparation for creative, mission-oriented ministry. The Graduate Certificate in Church Planting and Revitalization is a hybrid program combining in-person intensive courses and online instruction, which allows students from across the country to participate in the 18 month program while remaining in their context rather than moving to Pittsburgh. As a graduate certificate, the program is open to students who have completed bachelor’s degrees, as well as seminarians and seminary graduates who desire more specialized training. It isn’t because we don’t have enough church buildings. And it isn’t because we want to (or ought to) relive the days when the world around us listened more closely when we told them what to do in the name of the God we serve. No, the call to plant churches is a call to be and build churches that are not just for ourselves. There is so much overflowing abundance in the story of the gospel and it is easy for it to get caught up in the closed container of what we see as the right way to do church and faith and community. Planting churches is about searching out where that great gospel love and work is already flowing—where the Holy Spirit is springing up already, and finding ways to flow in and with the Spirit amidst communities who ache to feel the embrace of a God who cares for them. Planting churches is about practicing the community life of the Church among others God is drawing to God's self. As our stories and experiences of faith are grafted together, both we and those we gather alongside will be changed, and we believe that the Church will be richer for it. The CPI team has landed here because we have believed and longed to believe in the call of the Church despite herself. We are here not because we seek to create an anti-institutional movement within the Church but because we believe that this ancient institution still has a story of belovedness to tell, not just to the insiders but to all the people who have, over time, found themselves outside the Church’s walls. In many ways, the work of church planting is for the outsiders—the ones who have found their life in the story of Jesus Christ but don’t yet know how to fit into the Church as it exists. For us, church planting is a call to build out the welcome that the church has received, where it does not yet exist—for the frightened and embarrassed, for the poor and the generous, the uneducated and the wise, for the incarcerated and the addicted, for the hat-wearing and the tattoo having, for the sensory-sensitive and the differently abled, for the perceptive and the skeptical, for the difficult and the lonely, for the impolitic and the disruptive, for the very young and the very old. The call is to give this welcome form in local places and to practice it together so that the Christian faith might be lived and fed and shared in every community and neighborhood to the glory of God. Could this work be for you? We’d love to talk with you about it. Want to stay connected to the Church Planting Initiative? Signup to receive our monthly e-newsletter, which includes info about upcoming events, resources for church planters, and news about CPI.